Most users switch to new mobile devices or add new ones. Over a period of time, your Exchange mailbox may have quite a few mobile devices. If you’re not using a smartphone or other Exchange ActiveSync (EAS) device (including Windows 8/Windows RT tablets, Apple iPad or other iOS devices), you can remove it from your account using Outlook Web App. You can also wipe an existing mobile device, as long as it’s still active and syncing mail. If your mailbox is in Office 365, it has a limit of 10 ActiveSync device partnerships at the same time. If you keep accumulating device partnerships and not remove old devices that you no longer have, you’re prevented from adding more than 10 devices. When trying to add the eleventh ActiveSync device, you get an error message on the mobile device. You also continue to get daily email alerts with the subject: “Error with your mobile phone partnership” with instructions to remove existing ActiveSync devices from your account. Figure 1: Office 365 prevents you from adding more than 10 ActiveSync devices to a mailbox and alerts you when you try to add more devices. Select Phone. The Mobile Phones tab shows a list of all Exchange ActiveSync devices connected to your account, including mobile phones and tablets. Select the device you want to remove and click Delete. The Last Sync Time field shows you the last time a device synchronized. Before disposing off a phone, make sure you remove your data from the phone. 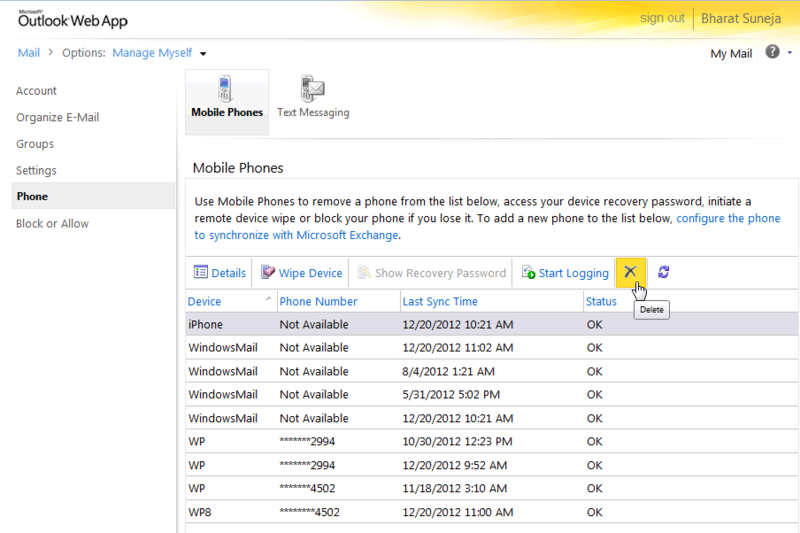 You can use the Wipe Device option fromt Outlook Web App to wipe device data. Additionally, most mobile phones and other mobile devices have an option to reset the device to factory settings. Hi. How do I remove the device if I know longer own it? As described above. You don’t need to do anything on the device itself. when i removed my phone from Wipe Device i lose all my file in my phone :( is there are any way to reback please?? I have 100 device, do you know how for deleted all, and no one by one ? It’s really long for delete ! I have been receiving same emails when i try to add my email exchange to another device. For few years i have been changing devices and setting them up with exchange accounts. Thu i do bring those devices to factory defaults once it’s time to let go of them. I have checked my outlook web setting, and it only shows me 01 phone is partnered, i tried adding another device but keep getting same messages that i am partnered with 10/10 accounts. I received a message saying I have 4 or more partnerships and to log into outlook to remove the devices but my only problem is I have strictly been using the Mail app through my mac book pro. I have no idea how to access anything else. Does anyone have any ideas or recommendations? I removed these via our server and checked it on the web app and it says there are no devices synced to an account. Yet if I try to set up a new account on any device (tried an iPad, an Android phone and tablet) it says that the device maximum has been reached. Any help? Is this for Exchange Server (on-premises)? 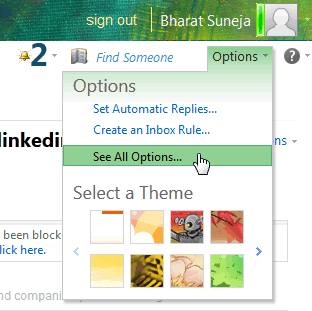 how do you login to Outlook Web App and do I use my regular email address and password? The tab to remove mobile accounts is not visible. The only tab available under phone is text messaging. Office 365/Exchange Online or on-premises? If the latter, what version of Exchange Server?